Hope! I wonder if there is a way to energetically support the land, perhaps by releasing some of the “toxic energy” and reconnecting it to our energy grid, or at least doing some kind of spiritual “balancing.” This can only be done with your property, of course, but there is a lot of support from various ethereal beings/elementals/forces. Please continue to share about the most effective tools that are available for this kind of healing work, including geomancy and other energy processes. This is not child’s play, and given what is at stake, it should not be. Thank you. There are definitely ways of energetically supporting the land and I think the first stage of physical healing of our lands is that energetic work. Since moving back to PA, I’ve been doing a lot of research and energetic work on this…and will continue to do so. I certainly think its not a small undertaking, but I do think positive change is possible :). Especially if many of us are doing the work, each in our own way, and each to our own ability :). Thank you for this! We have been trying to keep another Enbridge pipeline out of our beautiful lake area in North central Minnesota. They plan to cross the headwaters of the Mississippi twice! Not to mention all of the wetlands and wild rice lakes. It’s so sad to see such indifference for the environment and its inhabitants. I eagerly await your next posts on this subject! I’m sorry to hear you are fighting another pipeline. Its a tough fight, and sometimes we can win, and sometimes we can’t. One of the posts I’m preparing soon is a story of a group in New Hampshire fighting a compressor station and gas pipeline–they have some wonderful strategies and I think they are going to win :). 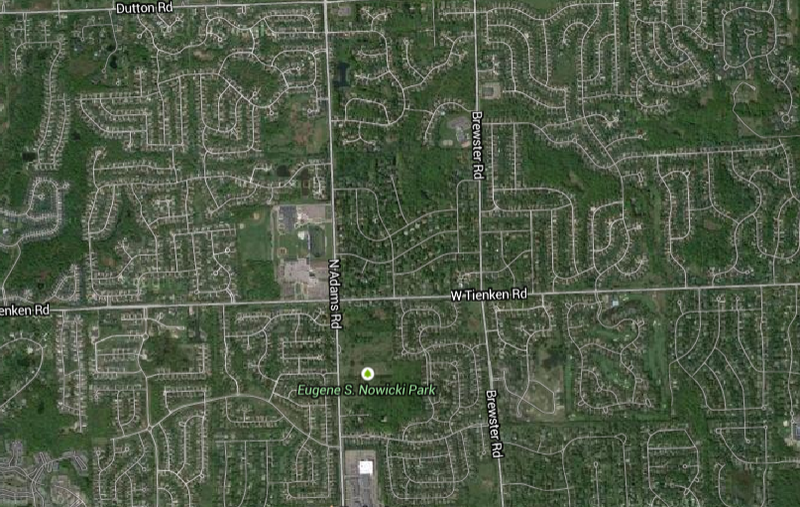 The wetlands and rice lakes…sigh….its so tragic to think about. Keep up the good fight! There is so much happening right now that seems impossible to bear. The EPA being gutting – clean air act, clean water act, selling off of public lands to highest bidder – big companies who want to pump the water dry for fracking, and making water inaccessible so we have to buy it in plastic bottles. 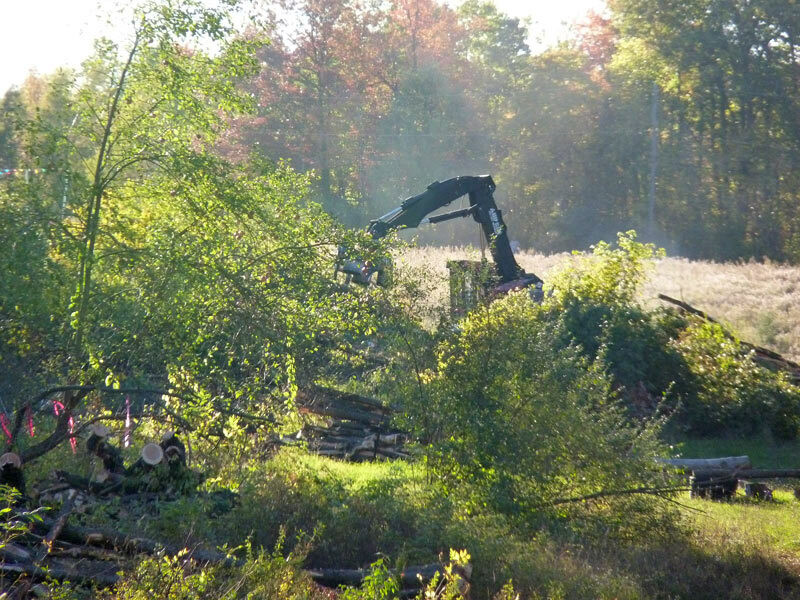 Big machines digging up energy lines….It is always such a dilemma when to take actiion. I can easily get discouraged and fall into a hopeless, helpless depression. What I am finding is, to really discern where I can make a difference – write letters, protest when necessary, act locally, recycle, grow food, etc. Then concentrate on gratitude and happiness in the moment and try to raise my vibration and visualize peace, harmony, happiness and grace. It is hard not to give up hope, but I do believe in the miracle of a mass change in conscious. I also tried to stop being deeply angry about it all because I only perpetuate what I don’t want. I don’t know. It is such a difficult time for those of us who love Mother Earth. Our sensitivities are challenged and wounded on a daily basis. Loving her, Loving our own hearts, act when we can, keep our energy in gratitude for Her, educate people….it’s all I know to do. I think you are absolutely right–it DOES seem impossible to bear. The question of where we can make the most difference also is a critical one. Right now, I’m sitting at Sirius Eco-village near Amherst, Massachusetts, three days in to my permaculture design certificate course. I’m in a building that was sourced and built almost entirely from this land; eating food grown almost entirely in the garden; and using power from the solar panels, and so on. This is a model for me of one response to what we hear. Not a model everyone can enact, but a model here, none-the-less. There are many people here doing the PDC with me, all feeling the same–and looking for positive responses and solutions. The thing that is striking me here is that we can intentionally design differently, and we can do this using ethical principles and tools–this community is living . I’m inspired by this approach because it gives a real response to these problems, and it makes me feel like I have real tools to make a difference. You speak of gratitude–just this morning, we were led through a “thanks giving” where we gave thanks for the many things–from mother earth to the moon and stars, all the plants and animals, everything. The teaching that accompanied this thanks giving was the idea that without gratitude, we become disconnected, and make a lot of the kinds of decisions that cause destruction. So this teaching suggested that the source of much of our current poor decision making was from a lack of gratitude….I think there is real wisdom in this. Wow, that sounds absolutely GREAT!! What a wonderful place to be – to be around so many like minded people all focused on solutions, and learning how to change things. I get really hopeful when I hear of things like that. I hope you enjoy the rest of it, and that you will have lots to share with us. There are so many things I want to learn to be less impactful and leave less of a footprint. I try, but I just don’t know how to do a lot of stuff. Worst of all, I drive a gasoline car. Thank you for your response. It is exciting to me. PS. Every time I hear or read the words key line…though I know what they are, the image that always comes into my head is key lime pie. Lol. This is a very important post, and I appreciate the juxtaposition of the sacred ritual and the greed and destruction. So many things seem like Avatar these days! In addition to Willowcrow’s comments about spiritual intercession for the land, I would also add that I’ve had powerful results doing Reiki Healing Attunements upon the land and specific properties in Goshen. I’ve done hundreds (possibly thousands) of Reiki Healing Attunements on people and situations in the past 13 years, and I have never felt such a powerful pull of Reiki as from the poor, broken land in the little area of Goshen to which I was called to heal. Our work does make a difference, so please, do what you can on all levels to support the land where you live. Many blessings! Thanks Laura! Reiki is a wonderful way of bringing healing to the land–thanks for sharing your experience with the Goshen land. Indeed. Part of why I am back in Western PA is for that reason–some calls are insistent, and the more you ignore them the louder they get :). Regardless, I’m glad you are doing work there–Indiana certainly needs you! PS: I had to read that again. That was 7 years ago? That’s exactly when I was in Goshen. I don’t remember what time of year it was, but I went up there with a friend who wanted to visit this Mennonite fair they had. Given what I remember being at the fair, I’m guessing it was sometime in Sept-Nov of that year. Wow. That’s kind of blowing my mind!!!! I’m fascinated to hear that you had a ley line and were able to feel it. If ley lines are created by humans, do you have an idea how there came to be one in your back yard? I have some theories, Karen. I found two stone circles in the various parks and woods, not far from where I was. I’m wondering it it was intentionally planted and formed at some point. Another friend said he found a third large circle. So within 10 miles, three stone circles and a ley line? Someone was busy :). The stone circle I found in the woods was quite old; it had probably a 40 year old tree growing up through it and several smaller ones. I had some good confirmation on the ley line (I never spoke of it after I found it) with someone I deeply trusted, so I was pretty sure it was there. Over the years, others had sensed it as well and mentioned it to me. So good outer plane checks there :). Willowcrow posted: " I’ll never forget May 1st, 2014. 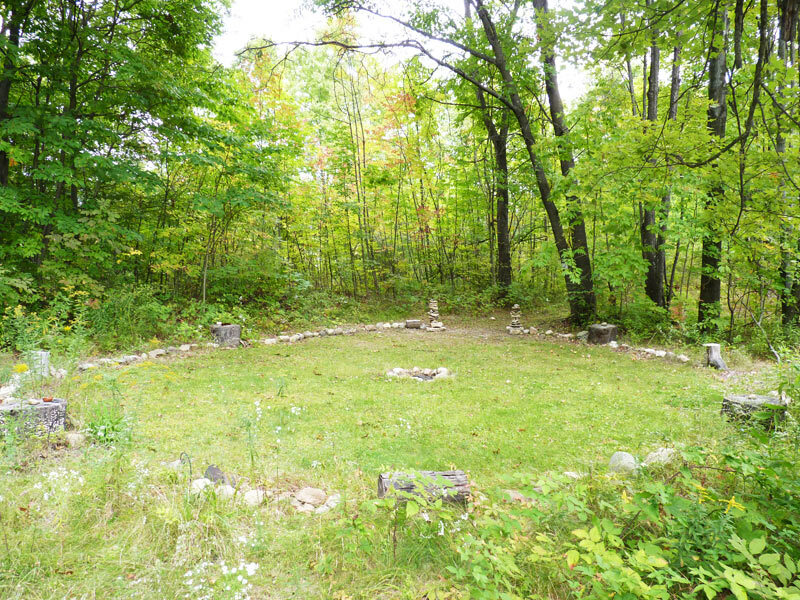 I came down to the sacred circle at my homestead in Michigan and with the intention of performing a private Beltane celebration ritual I had prepared. As I began the ritual, something felt very, very wrong. Wrong in th"
It must be so heartbreaking to witness this transformation in the land. I admire your courage and determination. Thank you for sharing this! Thank you, Leeby! Believe it or not, it was even worse coming back to PA and seeing the fracking wells everywhere….I’ll blog about this too in the next few months (I’m still trying to process and understand it all): fracking well in the middle of the community garden, 12-16 fracking wells in the local parks (I haven’t yet found them all, but anywhere you walk, within 10 min, you will run into one, and then 10 min later, another, and so on…all over the place). Fracking well down the street in a field near a school!!!! Fracking well above the river for drinking water, the list goes on and on. Wow, you have walked into ground zero. I live near the northeast PA drilling grounds, but not in them. They drilled a test well 4 miles from here, and that was scary enough! There has been more resistance here–my husband is an anti-fracking activist while I have kept a low profile. (I edit his letters to the editor.) I agree with you about the reasons why people accept this. A few people make money from it, some businesses prosper, and people aren’t going to say no to that. But some very scary studies are coming out about the health costs, on top of known problems with contaminated drinking water, radiation, etc. Oh yes, its really scary. But I’ve also clearly been sent there for a reason–so we’ll see how it goes :). I’m not drinking the water though, that’s for sure! That’s disturbing news. I’m sorry to hear that. Thank you for bringing this to our attention. It has prompted me to take a closer look at the fracking situation. I’m interested in trying to get something professionally published on the issue in a new age magazine. Leeby – I edit Trilithon: The Ancient Order of Druids in America. Its a growing publication (in its 2nd year) but that’s one option. I’m happy to talk with you more about it–or fracking. Cool. Thank you for the offer. I’ll check out the publication online. It is encouraging to hear of people standing up to fracking in the US. For those of us outside of your country, it seems as if the entire nation fell quietly to the frackers (much like western Canada). I mostly hear the voices of protest in eastern Canada and Europe. Despite the change in power that you have felt in your sacred spot, each and every action you do there is meaningful and healing. Your words do like-wise. One of the posts I’m working on now describes a bit about *why* fracking was so embraced by the people in Western PA. Being a progressive and a druid, it was hard for me to fathom the reason, but I think I’m now understanding it a lot better in talking to others (and exploring my own historical roots). In a nutshell, people in Western PA have a long history with other industries that extract things from the ground: coal and the steel industry (iron and ferrous ores). This is the traditional livelihood (and both of my grandfathers and great grandfathers worked in the mills or the mines). People in this area have always paid an environmental toll for their livelihoods–its present in the boney dumps I talk about in this post: https://druidgarden.wordpress.com/2012/07/27/long-term-orientations-oil-fracking-and-the-environment-of-the-future/). This was just the way it was, back in previous generations. The loss of the mine and mill jobs was tremendously difficult on the region, and put many people of my parents’ generation out of work–sometimes permanently. Economic downturns get people to grasp onto any possibility for work. And it is in this context that fracking happened to Pennsylvania. It happened because it was seen as no different than the mines from before; it happened because people needed work, and “energy” has always been what people did. It happened because it was overwhelmingly supported by the populace here in Western PA, and anyone who tried to oppose it had no chance (and in fact, I’ve heard stories from organizers here who literally had to have police protection to protest things like Fracking or even to try to protest to get better regulation). So….that’s it in a nutshell. I haven’t written about this yet, because I’m still in the process of understanding it–and in thinking of solutions. You can’t just say, “well, we don’t want fracking” and present no viable alternatives for meaningful employment. So, its a tough issue and one I’m still wrestling with. I wrote a blog post about this dynamic a couple years ago, and for the life of me I cannot find it! My partner, David’s childhood friend is a poet: Julia Spicher Kasdorf. Her latest collection of poems is about fracking in PA, and she’s gone all around the areas and spent hundreds of hours documenting the damage to the land, the attitudes of the people, interweaving apocalyptic imagery with actual quotes from locals who think it’s a good thing. When we heard her present, the collection was still in process and unpublished, but keep an eye out for it. She’s using Bardic techniques to explore (and hopefully shift) the energies. Prior to her poetry, I had no idea why people would embrace fracking either, but her poetry really captures the paradox in a compassionate way that will hopefully build bridges that enable change and healing. I knew something was wrong, I could feel it. The energy from my childhood lake is weak. I thought is was me, getting older. Thank you for the article. Time for me to investigate further. Please keep me updated if you are willing.